New reports are set up and managed in the Reports menu. With AWR, you have three different methods for creating a new report. Each of them is designed to focus on a particular aspect of SEO reporting, from general performance overview to in depth keyword, competitor or search market data analysis. 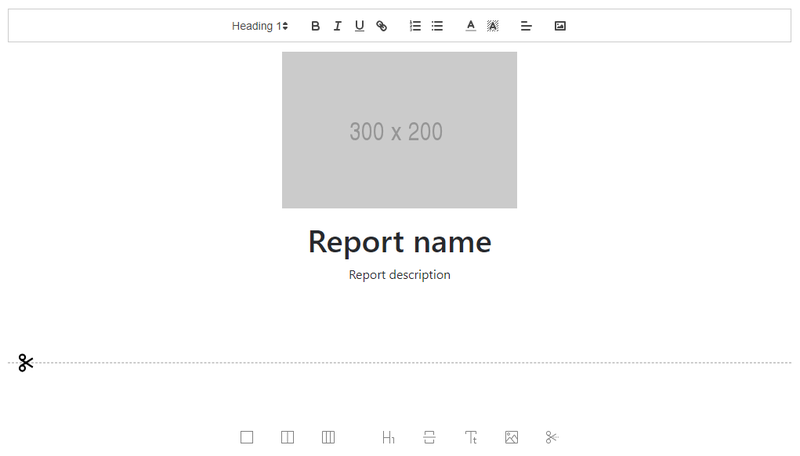 If you prefer different widgets and design components than those available in the templates, you have the possibility to create a new report from scratch. Once you select this method, AWR loads the new report in Edit mode. Now it's time to start building! You can add your company logo or any image that you consider fit for the cover page of your report, then enter the report name and description. Next, add your favorite widgets on one, two or three columns and together with the custom text and images that you would like to share. The third method is to duplicate an existing report. The new report created from a copy is opened directly in Edit mode, allowing you to change the name and description, and make any other widget adjustments that you need. When everything is ready, you can Preview the new report, then click on Save and return to the Reports list. Your new report will be available for selection from the reports dropdown. These methods for creating reports are available for all types of users that AWR provides: main owner, administrators and team members. 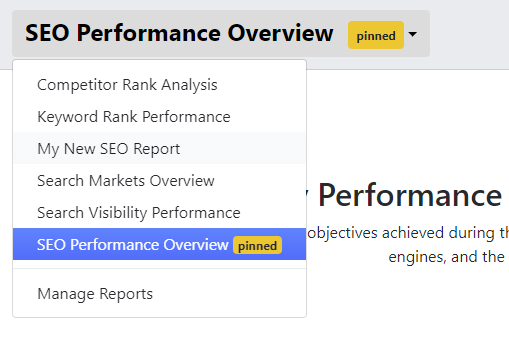 The new reports will be available globally across all SEO projects that you are managing on the account.